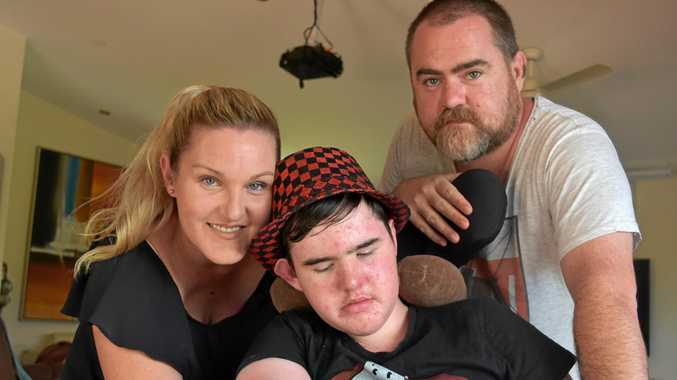 CHRISTMAS has been a short respite for the Fuller family, whose struggle to help their son Ethan fight his medical problem has cost them dearly over the past two years. 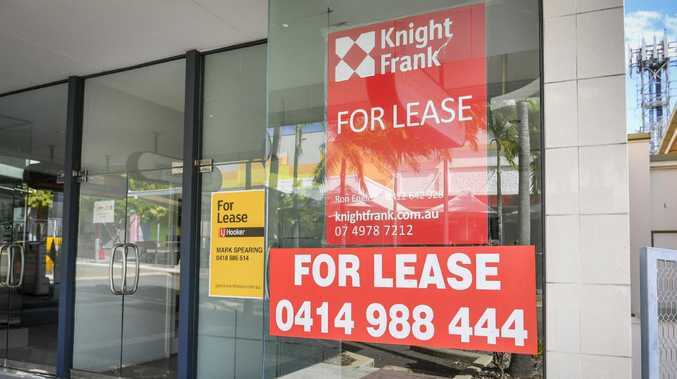 "We've lost everything,” Mrs Fuller said. 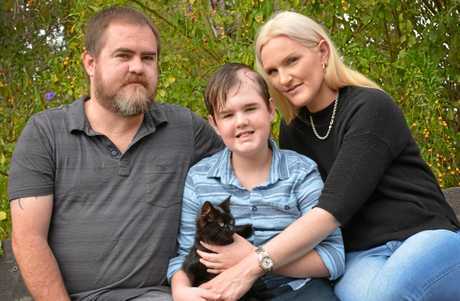 Fourteen-year-old Ethan has been fighting hydrocephalus - a condition which causes excess fluid on the brain - for his whole life. It is a battle that has left him unable to walk and facing multiple medical procedures, for which there is still no end in sight. Ethan's mother Elly Fuller said the teen had now developed "focal seizures” and scoliosis - a sideways curving of the spine. She said it was a mixture which left Ethan "like big jelly” and difficult to move. He now needs spinal fusion surgery as a result, yet another cost in a long line of them. Early last year the family found themselves in a $10,000 hole as they struggled to cover the cost of Ethan's extensive hospital stays. At the time he was recovering from more than 20 procedures in a four-month period, and had been left blind and unable to walk. And it is a line which has left them spent. 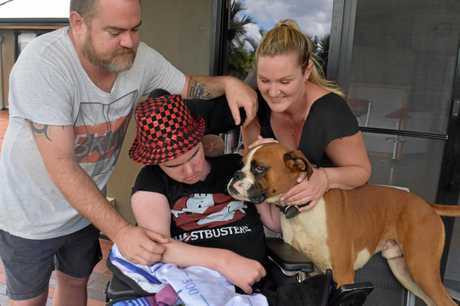 In the 23 months since, Mrs Fuller her partner Daniel have been forced to move into Daniel's parents home with their three sons: Ethan, Bailey and Taylor. Already a situation geared towards putting extra strain on a family, she said matters took a even bigger turn for the worse when Daniel's mother suffered a stroke. Taylor was also "struggling” with the situation. Wider support had also been hard to come by. Their Gofundme page for Ethan had been shut down, and the family is still in the dark about why. "All we know is someone made a complaint about it,” Mrs Fuller said. Then there was the unfortunate response when they were out and about. "People see you in the street and avoid you like the plague,” she said. Trying to get Ethan to school was also "a mission”. She said the teen, who is confined to a wheelchair, was embarrassed by how he looked. Even the holiday season was muted, although it had a silver lining. "(Ethan) didn't really understand the whole Christmas thing,” Mrs Fuller said.